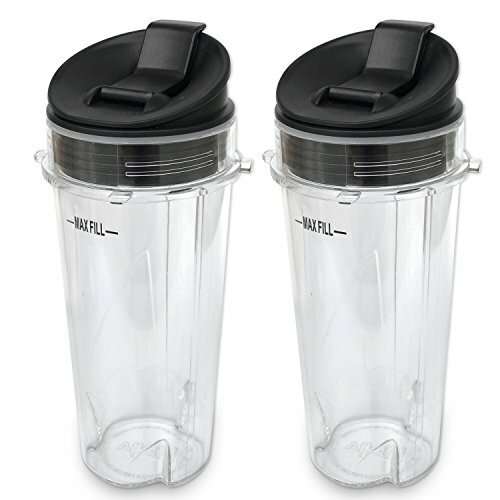 Single Serve Cup Set-Replacement part for Ninja Ultima Blender Model # BL810, BL820 BL830 and is a clear cup with a slight smoke or gray tint -Also for Ninja BL770 / BL771 / BL772 | Ninja BL780 BL730 | BL740 BL660 and BL663. Single Serve 16 ounce cups with FOUR TABS. If you have any questions about this product by ELEFOCUS, contact us by completing and submitting the form below. If you are looking for a specif part number, please include it with your message.